The cozy style is defined as a way to create warm and friendly environments that invite to relaxation. 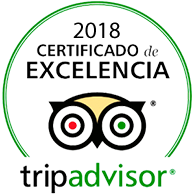 It is part of our leitmotiv in Hotel Vanilla Garden and is personalized in every corner with a single objective: to wrap yourself in a beautiful setting, live a unique and different vacation experience, to make you feel better than at home. When talking about the style of our rooms we must highlight as protagonists the color, natural light and the creation of surprisingly simple environments. The wooden furniture has a very special Nordic touch. When you enter them, you feel that you will be able to rest, but also to live moments of relaxation and comfort. The wonderful thing about each of our stays is that they allow you to disconnect, while giving you very good energy. 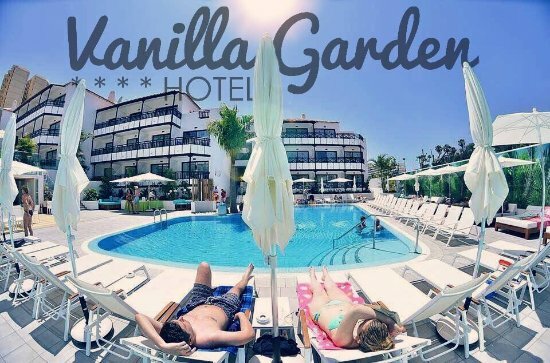 Located next to reception, the Chill Out area of ​​Hotel Vanilla Garden is a place where you will feel relaxed and relaxed. What you deserve! We designed it with very good taste and personality. Under wooden canopies a comfortable armchairs await you for a drink, while you decide your list of holiday plans and how you will organize to fully enjoy your time in Tenerife. The color and light also flood our gastronomic offer. The signature cuisine of our French restaurant Chez Damien is delicious and a unique experience to indulge your palate. Having a drink in our bar, next to the reception or in the Pool Bar, is another very cozy experience in our hotel. The pool area is the heart of our Vanilla Garden. A vibrant place where style and design go hand in hand. Live an experience sunbathing on our comfortable hammocks with a L.A touch. In an environment where our exotic mural with palm trees in the background is the design note that sets us apart. This area is designed to rest, enjoy and simply do nothing but live at your own pace. The days of Pool Party you will live in another way: every Wednesday and Saturday you will vibrate to the rhythm of the best music in a spectacular party atmosphere. If you want to spend a unique vacation, the south of Tenerife is a wonderful destination because it is always spring. If you love the style, the design and the sophistication in minimalist key, with notes of color, Vanilla Garden is your ideal site. If you also liked what you read, it means that this is the hotel you are looking for. There is still more, much more and you have to come and find out. This entry was posted in Experiences, Hotel, Vanilla Garden and tagged Chill Out, Cozy Style.